Archaeologists have discovered an ancient middle finger bone in Saudia Arabia, and it could completely change what we know about human migration. An 85,000-year-old bone belonging to Homo sapiens marks the first evidence of humans that scientists have found in the Nefud Desert. This is also the first time Homo sapiens bones of that age have been discovered anywhere outside Africa. The current theory of human migration posits that Homo sapiens migrated en masse in a movement known as “Out of Africa” about 60,000 years ago in a single, contained wave. But this newly-discovered bone suggests that people migrated out of Africa in multiple different phases, at least 20,000 years earlier than we thought. Archaeologists unearthed the 1.25-inch middle finger bone in 2016, and researchers used a CT scan to form a 3D model of the entire bone, which showed conclusively that it belonged to Homo sapiens. Nature published news of the discovery this week. “What our discovery shows is that the early spread of Homo sapiens was much more spatially widespread than we thought,” said lead study author Huw Groucutt of the University of Oxford. Archaeologists have discovered an ancient middle finger bone in Saudia Arabia, and it could completely change what we know about human migration. 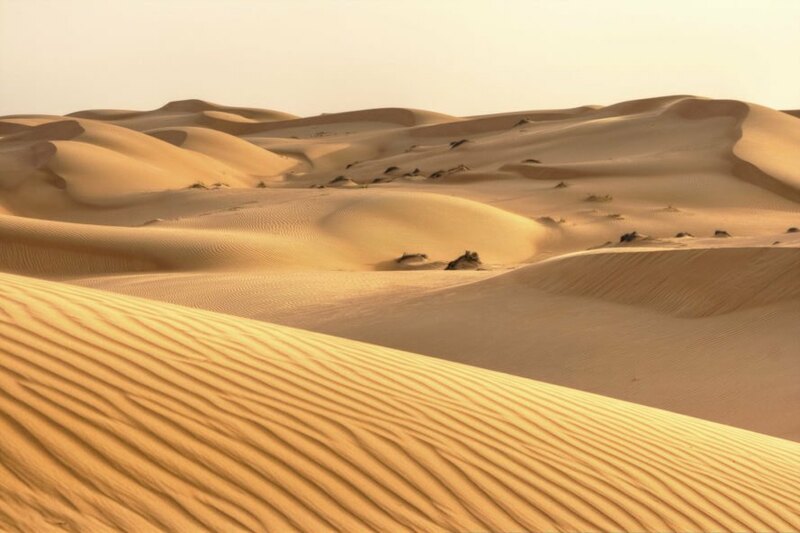 The bones were discovered in the Nefud Desert in Saudi Arabia. This is the first time ancient Homo sapiens bones have been discovered anywhere outside Africa.